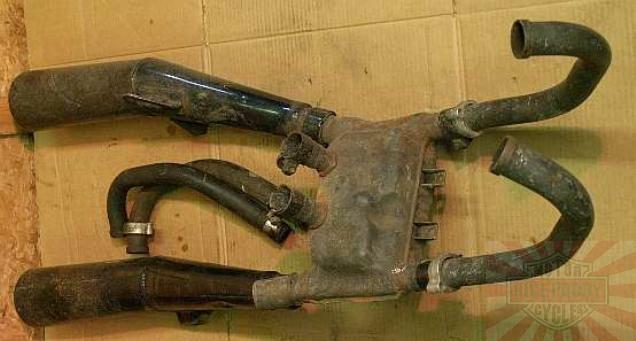 Up for item is this Exhaust Assembly / Pre Chamber / Muffler (s) for a 1984-1986 Honda VF500 Interceptor. A bit scratched in places but overall a nice, complete exhaust assembly. So, if your system is damged or missing, take a look at the pics and buy now on these replacement parts for your Interceptor!!! These parts came from a large crate of 1984-1986 Honda VF500F Interceptor parts that we are placing on item. If there is another Interceptor part that you need, but don't see listed among our items, please don't hesitate to contact us. We probably have what you are looking for!!! !